A friend of mine with a Southern Cross 31 sent me some info that was posted on the Southern Cross owner’s web site. 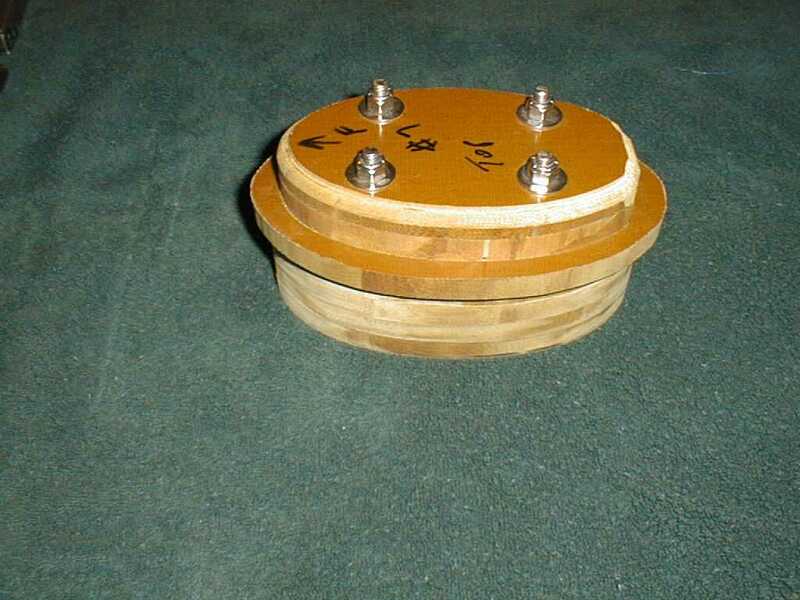 It appears that a Southern Cross owner had a similar problem and had a phenolic block made to fit into the bottom of the mast. I have enclosed the owner’s comments and some photos in the hope they may be useful. Last fall I pulled the mast out of my SC-28 for the first time since I have owned her. I found a nasty mess of corrosion at the base. I read about a fix some time ago in one of your newsletters that involved making a phenolic block to insulate the aluminum mast from the stainless step. I set about to do so, and the photos included (on disk) here show the results. 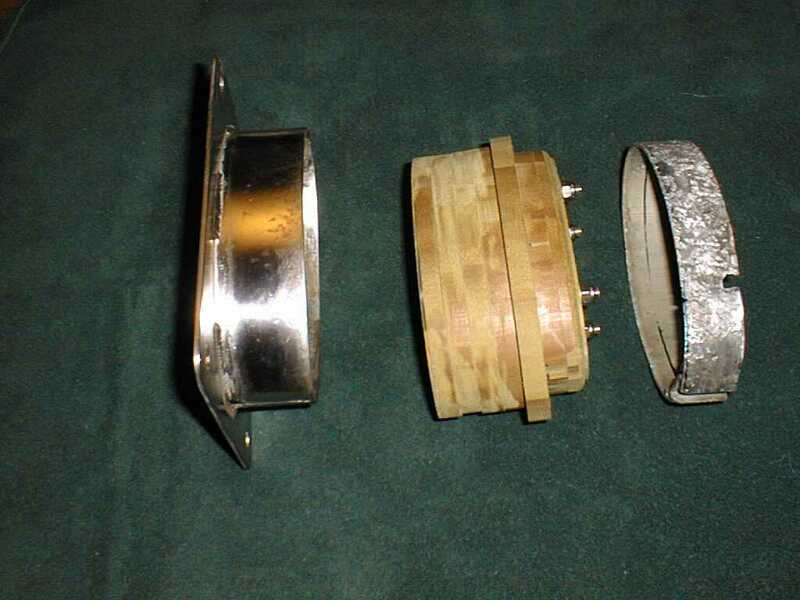 Picture number one shows from L to R, the mast step, the phenolic block and the bottom 1.5 inches of the mast. Picture number two is a close up of the phenolic block. Picture number three shows how the three pieces go together. The phenolic block is made from seven pieces of 1/2 inch stock. Four pieces are cut to fit inside the mast step collar. Piece number five is cut to the outside dimensions of the mast step collar. Pieces six and seven are cut to fit inside the mast. The whole affair is bolted together with 3/8 stainless bolts that are recessed into the bottom. Because the mast sits atop piece number five, it is raised 2 1/2 inches from its original height. Since my turnbuckles were almost all the way down, I took only 1 1/2 inches off the bottom of the mast thereby giving myself some more adjustment in the turnbuckles. (Now I can really force the cabin top down). 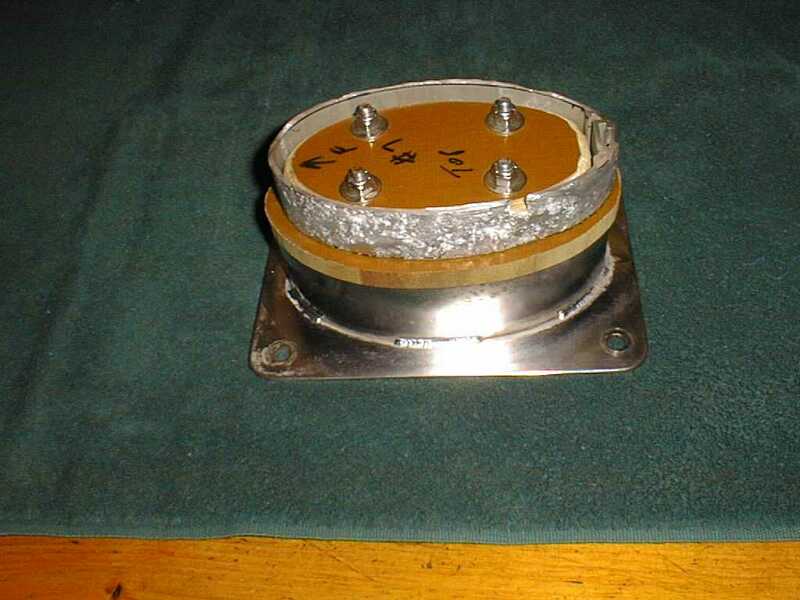 With this arrangement there should not be any further corrosion problem at the bottom of the mast because the aluminum and the stainless are no longer in contact.